I was inspired after reading “The Chair” by Galen Cranz. This quote resonated with me and helped drive the design. “Physical design should promote an active awareness of posture and good use rather than passive belief that imperfect posture and pain are a part of life.” I realized how detrimental sitting is to your health. Even if you’re active sitting can reduce the life expectancy as much as smoking can. The chair is one of humans closest object and should be designed to help improve our health. 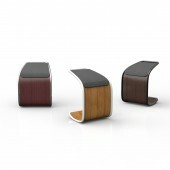 Kiba is an active chair that promotes movement to strengthen the core, while improving balance and flexibility. The angle seat allows user to sit at a perching position, which is the least harmful solution to the lower back when seated. 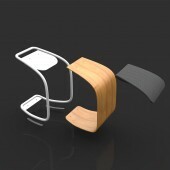 The planar seat activates the sit bone to support the upward drive of the spine. A benefit to sitting in this position is that weight can be sense through the feet allowing for higher body awareness. The simple design allows for low cost manufacturing and modular customization. 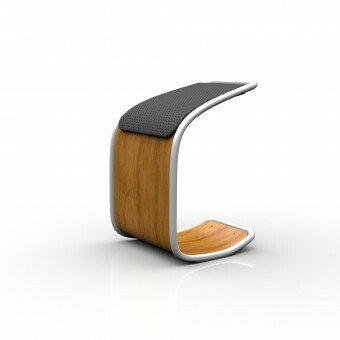 Kiba has a rocking design use to keep the user active while sitting. The angle seat does not cut into the thighs allowing for better blood circulation. The chair's form guides the body into a perching position allowing the user to sense their weight through their feet improving body awareness. Having no chair back allows for autonomous sitting which improves core strength and flexibility. Started January 2014 and finished May 2014 at San Jose State University. The wood seat was bent using layered 1/8th inch italian poplar and layered up to 3/8th inch. A jig made of MDF was created to bend the 3/8th sheet of wood. Secondary operations were used to trim and sand the wood veneer. The 1" HREW steel tubes were bent using two different methods. The larger radius was bent using a tube roller and the tighter radius was bent using a hydraulic tube bender. A total of two patterns consisting of 4 bent tube pieces were welded together to create the frame. Additional supports were added above and below to add strength. The spot welds were sanded and the frame was powder coated. The micro-perforated leather seat was wrapped around 1/2" neoprene and is velcro onto the wood seat. The chair is easily assemble using 4 nuts and bolts. Minimal parts were used for ease of manufacturing. Initial research was done on health implications associated to sitting. This lead into ergonomic research dealing with why traditional right angle chairs are bad for your health. Market research was done on what solutions are currently available. Applying somatics, which is a body mind perspective involving the whole human being focusing in a practical way on the interactions of posture movement, emotion, self-concept, and cultural values. Using body-conscious design to improve posture and overall health. Sitting is something that people do without any thought. We sit while we drive, at work, in school, at home and while we eat. We sit more than half of our day. Humans are not made to sit and we've adapted to bad design. The challenge was to change people's perception of what sitting is. Chairs should be used as tools to help train our body instead of sedate it. This project was driven to help people become more aware of how they sit. Tommy Duong is a graduate from San Jose State University. He spent the early part of his life looking for his passion and fell in love with Industrial Design when he took his first design class at San Jose State University. His goal is to use his passion and skills to make the world a better place for the next generations by creating meaningful designs. He has a keen understanding of designing for the consumer by a consumer. He applies this perspective to help create mindful designs to improve people's lives. Kiba Active Task Chair Active Chair by Tommy Duong is a Nominee in Furniture, Decorative Items and Homeware Design Category. · Click here to register today inorder to be able to view the profile and other works by Tommy Duong when results are announced. Kiba Active Task Chair Active Chair by Tommy Duong is Winner in Furniture, Decorative Items and Homeware Design Category, 2014 - 2015. · Press Members: Login or Register to request an exclusive interview with Tommy Duong. · Click here to register inorder to view the profile and other works by Tommy Duong. Did you like Tommy Duong's Furniture Design? 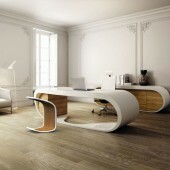 Did you like Kiba Active Task Chair Active Chair? Help us create a global awareness for good furniture design worldwide. 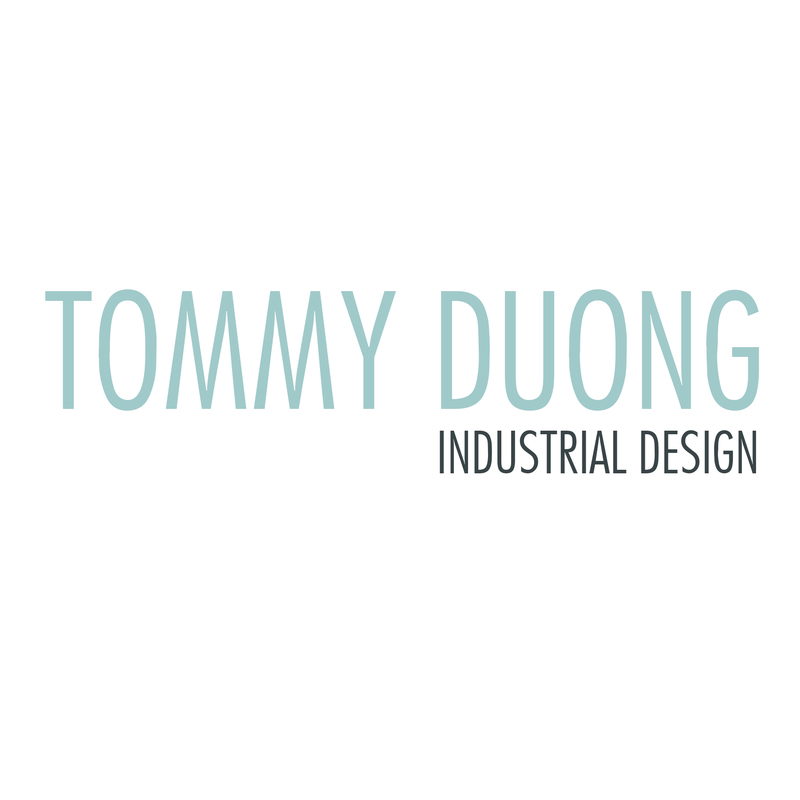 Show your support for Tommy Duong, the creator of great furniture design by gifting them a nomination ticket so that we could promote more of their great furniture designs.